Last edited by 77Catimba77 on Wed Sep 13, 2017 9:13 pm, edited 11 times in total. Wooooh i was looking this player for inter for so long time , thanks for bringin here , but maybe i think that DA and DS are too high for what i read he was a winger with great dribbling but with a insane sense to score. But i think that he don't is close to Ronaldinho or Garrincha . I Suggest 94-93 and maybe added reaction and scoring. 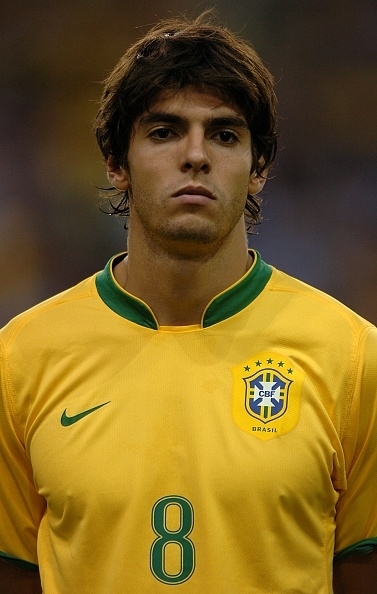 Yeah, this player is considered the best winger before Garrincha. Some say he was even better, but you know, it´s hard to tell without any footage. It´s still in progress, I think DA can have the values you suggested, not sure about DS value you have in mind. From what I read he could score with both feet dribling from the side passing through various defenders and with good speed. 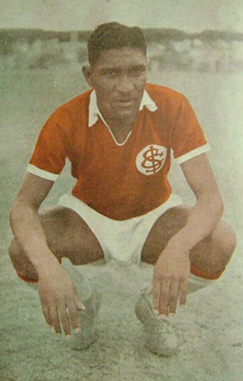 In Obdulio Varela´s opinion he formed the best brazilian attack from that era alongside Zizinho, Heleno de Freitas, Jair and Ademir de Menezes. Added Scoring and Reaction already. Yeah i read some about that , I suggest 93 in DA and DS 85 mostly of the old wingers have the same trick , bring the defender to the side and do some body dribbling , so i believe more in 85 DS. Also Lowered he' ATK to 85 and AGI to 90 at the same level of Coutinho. RES can be up to 80 and also get a up level in TMW. Despite being a winger, with great skill, he had a great defensive work back to help in defense. Take from Jouzinho Blog.... so i believe 75-76 in TMW. About DA I put 94. I don´t think he was far from Zizinho in this aspect and the value still highlights his best atributte. RES as well I will use 79. IMO he doesn´t need more than that, his goals came mostly from dribbling situations, he wasn´t a responsive ball collector. About cards I don´t use these early versions of PES so I don´t know what to say, maybe I´ll update then too. Tesourinha era un attaccante in grado di ricoprire il ruolo di ala con abilità grazie al suo dribbling, eseguito spesso in uno spazio ridottissimo, tanto che il suo stile di gioco fu, tempo dopo, paragonato a quello di Garrincha. Spesso partiva dalla fascia sinistra del campo per poi accentrarsi e tirare con il piede destro; con l'arrivo di Carlitos, anch'egli ala sinistra, all'Internacional, cambiò fascia e si spostò a destra. Oltre all'affinata capacità tecnica e di dribbling, era dotato di una grande velocità, che gli permetteva di superare facilmente i difensori; possedeva inoltre un tiro potente e preciso, che lo rese uno dei migliori marcatori della storia della società di Porto Alegre. Thanks for the info. I´ve never heard about his shoot power before, more about placement and his abbility to score with right or left foot. So what value do you suggest? I would go with 83, he wasn´t so strong so i don´t believe his shot was more powerful than that, but of course is hard to know. Recently i read something in a Internacional Blog of legends (Jouzinho) that he have a great accuracy passes in the side field , so maybe i think that he's SPS can be in 75-78 , with the actual level he's passes most be intercepted. Sua origem era ponta-esquerda, mas driblava para dentro do campo e batia em gol de perna direita pelo Rolo Compressor. O time era tão bom que Tesourinha, um dos maiores craques do Inter, teve que se contentar em trocar de lado porque com Carlitos na ponta-esquerda ninguém se atrevia a mexer. Tesourinha foi hexacampeão gaúcho, aterrorizando zagueiros com seus dribles rápidos e uma velocidade memorável. Last edited by TheGreatRossonero on Sun Sep 25, 2016 9:44 pm, edited 1 time in total. So maybe increase LPS too? After he moved to the right he mostly stayed there. In NT he was right winger.